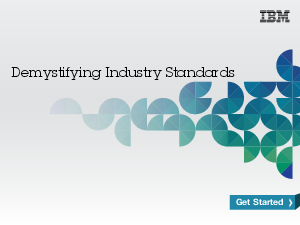 Industry standards make it possible for businesses to transfer structured information from one computer system to another. This can include a purchase order transferred from business to business, or a patient’s prescription sent from a doctor to an insurance company. However, although industry standards are designed to enable quick and clear communications, understanding the standards themselves is often extremely complex. Read this in-depth ebook to learn what industry standards look like, how they work, and the ways they enable automated exchanges of business transactions and information.